Mental health of immigrants is an important social and clinical issue. Immigrants may report higher rates of mental disorders and lower levels of use of mental health service with respect to natives. The aim of the present work is to review recent findings of the psychopathology of immigrants and analyze how to adapt the mental care settings through the use of mother tongues. We searched the literature to individuate and review the most recent scientific articles focused on the psychopathology of immigrants realized in Europe. Moreover, we summarized the guidelines about immigrants mental health care and we focused on the barriers caused by language. 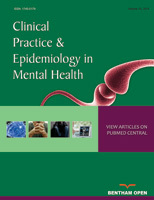 We individuated 15 papers reporting data about mental disorders among immigrants and the related risk and protective factors. The articles reported information about psychosis, depression, anxiety, post-traumatic stress disorder, somatization and suicide rates. Risk and protective factors are individuated mainly among social factors (e.g. ethnic density effect, hosting countries' policies). Furthermore, immigrants encounter language barriers in the use of mental care services. The realization of cross-cultural training and the development of a working alliance between clinicians and interpreters resulted to be effective solutions even if these interventions are not frequently implemented. The extent of migratory flows and the related difficulties experienced by immigrants require attention and well-informed interventions. The high rates of incidence of mental disorder and the strict number of services who implement interventions taking into accounts fundamental aspect as language show that there is still a lot to do. Keywords: Immigrants, Mental disorder, Mental health service, Native Language, Psychopathology, Risk factors. © 2018 Giammusso et al.